Honey buzzards are secretive and rare birds of prey. They winter in Africa but breed in the UK in very small numbers. They are well known for their adaptation for eating wasp grubs. They also take amphibians, principally frogs, and raid the nests of pigeons and thrushes. They do also take small mammals and reptiles. They can be seen from May through to August. In Neath you are most likely to see them soaring over the Resolven valley. 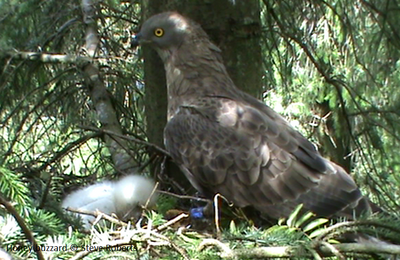 For more information see the RSPB Honey buzzard page.